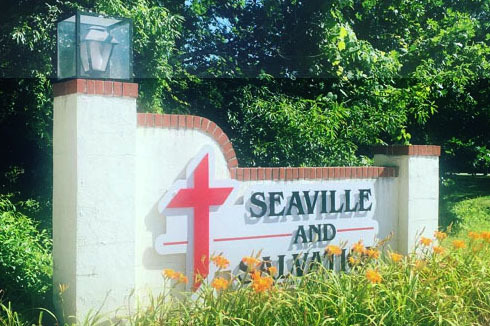 – Just minutes away from Sea Isle City, NJ – Founded in 1863 and to this day, deeply rooted in the Methodist tradition, SSCM is situated in the grove amid the inspiring backdrop of nature. “Church Nights”, Youth Retreats, and Visiting Musicians highlight 2019 Camp Meeting. In 2018 SSCMA experienced a revival of “church nights” with 430 additional evening visitors and honoring our Mission Statement to serve the surrounding communities. Partnering with Cape Atlantic District Superintendent Pastor Brian Roberts, we expand thejourney for “Church/Organization Nights” and welcome Youth Group Retreats to use our upgraded Oak Hall. Our journey also includes a welcoming environment and enhanced facilities for Cottagers, Visitors, and Groups. As disciples and servant leaders, may our efforts celebrate our legacy and grow our future. 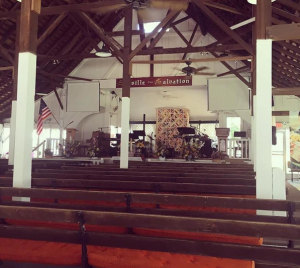 Memorial Flowers: Checks and information for memorial flowers in the Tabernacle should be coordinated with Cindy Davis (201-396-8428) or during camp at cottage #44. Garden Club: Checks and information for the Garden Club should be directed to Bill Wert (Garden Club Lead) at 856-217-2986. All checks should be made out to “South Seaville Camp Meeting”. Dinner will be served on Sundays following morning service. Reservations required. Call Marjie Hammond at 609-828-2146. The Uarda Betts Ice Cream Parlor will be open every night following the evening service under the direction of Marcia Caldwell. We all are children of God. Nourishing, encouraging and raising our Youth. Children of all ages will have an opportunity to grow in faith, nourish friendships and create life-long memories. Nursery is provided during Evening Worship services in Wright Hall, coordinated by Bliss Strauss. Provided during Morning Bible Study in Wright Hall, coordinated by Sherah Somervell. Grades K-5 during Morning Bible study in Howe Hall, coordinated by Bev Hammond and Sharon Elliott (week 1) and Wendy Forsythe and Paul Hammond (week 2). Grades 6-12 during Morning Bible study in Cox Center. Week 1 coordinated by Hanna Sullivan and Week 2 by John Whitt (Aldine UMC Youth Leader). New this year is a Youth Revival on Saturday, July 27. Rising students in three groups (5th-6th, 7th-9th, and 10th-12th grades) are invited to join us at 1pm for tons of fun games, youth-pastor led discussions, and dinner, followed by a special concert featuring an inspiring Christian band and guest speaker at 7pm. Youth, parents and cottagers are invited to the concert, but the afternoon events and dinner are limited to the first 100 students to complete a registration application and submit $10.00 to SSCMA For further information, registration and payment details, visit this link. Ages 18-28 focusing on a combination of morning Bible Studies and evening activities, hosted by Kirt Hammond.